Blending spirituality and self-help techniques with multidimensional and compassionate understanding. Whether it is getting to the heart of a specific issue, help with DNA recoding, guide communication, or simply wanting a status check to see where you are in your ascension, I can help. If you have questions before ordering, contact me at: 913-599-6222 or email. Appointments are made after payment has been received. One last thing, to get the greatest benefit from your session, be sure to read through the preparation page for the type of session you ordered. Want to go further than just one session? I also provide a private 2-day retreat. Check out the 2-day Emotional Clearing Retreat. Want to learn how easy it is to talk with your guides? Check out the Guide Communication Workshop by phone. Not kidding here…it really is easier than you think. I have found that if you carry a small notebook around with you throughout the day until the time of your session, your guides will begin to send you thoughts in the form of questions for you to ask during your session. They know they only have an hour with you, and therefore, will attempt to cover as much pertinent information as they can during that time. Having the notebook handy will not only allow them to give you the topics they want to cover, but you will also empower yourself to get your needs met during the session by having your questions written down in an organized manner. Confirmed payment is required at scheduling in order to reserve your chosen appointment time. Unpaid appointments will be released for booking after 12 hours unless other arrangements have been made. Sessions are 1 hour in length. Additional time is charged in 15-minute increments thereafter, and paid for after your session. Your session starts at the time upon which we agreed. I am happy to wait for you for up to 30 minutes but after that the session is considered complete. All appointment times are given in US Central Standard Time (-06:00 GMT). We go on Daylight Savings Time in the Spring. Use a world clock website such as www.timeticker.com to determine the correct time difference. When the time arrives for the session, call me on the given number. If by chance you get my voice mail, hang up and try again a few minutes later. If using Skype (audio only), send a friend request at least 24 hours before your session. My Skype username is: jelaila_rai. “I definitely appreciate service. You have been a tremendous spiritual support so far and I can’t thank you enough for your contribution to my spiritual growth. I am very satisfied with this morning session. I finally have answers to some of the questions that were tormenting me for years. Thanks for allowing my guides to throw some light on my path allowing me to better position myself in regards to my mission. Your experience and professionalism clearly make a difference in the way you treat and interact with people. 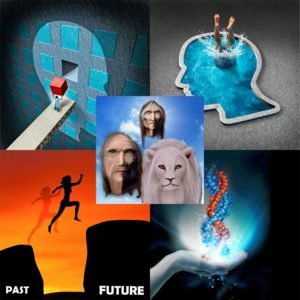 … Thanks for your contribution in elevating the human consciousness to the next stage of our evolution.”–Pascal M.
All information shared within a counseling session remains private and confidential.